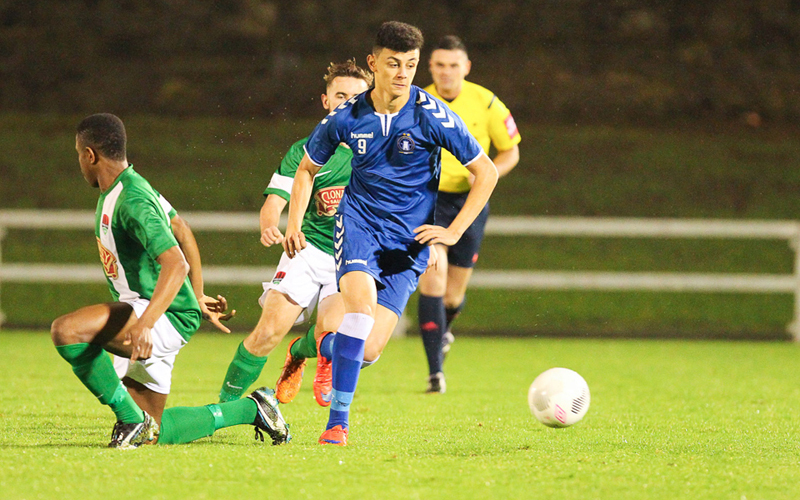 Connor Ellis’ 77th-minute penalty saw Cork City regain their crown as SSE Airtricity Under-19 National League Champions with a 2-1 come-from-behind win over Limerick at the Markets Field on Tuesday night. 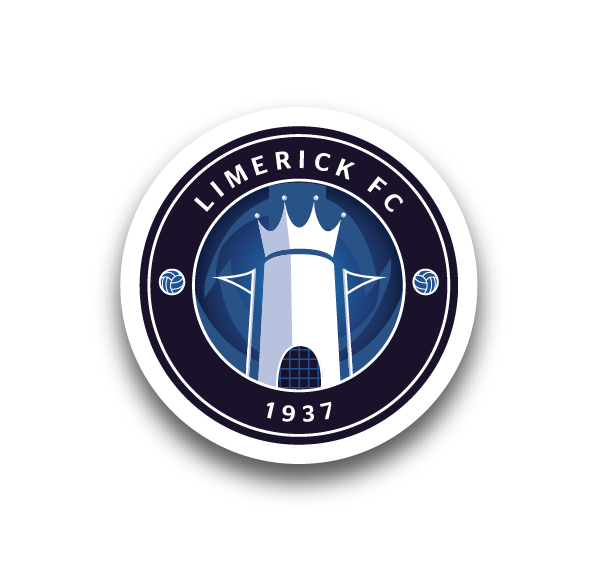 Limerick had created most of the openings in the first half and they took a 21st-minute lead through top scorer Yoyo Mahdy who got on the end of Clyde O’Connell’s pass and finished well for his seventh of the season. It could have been more than that but Cork ‘keeper David Coffey saved from Oisín Kelly and Ross Mann, while at the other end George Gill went closest for the visitors. But after the break, the young Leesiders took over and grabbed an equaliser before the hour-mark when Aaron Drinan drove to the net. Tommy Holland then produced wonders to deny Ellis twice and, with the best save of them, substitute Denzil Fernandes. But Cork scored what ultimately proved to be the winner 13 minutes from time when Ellis was fouled in the box and he stood up to net from the spot. 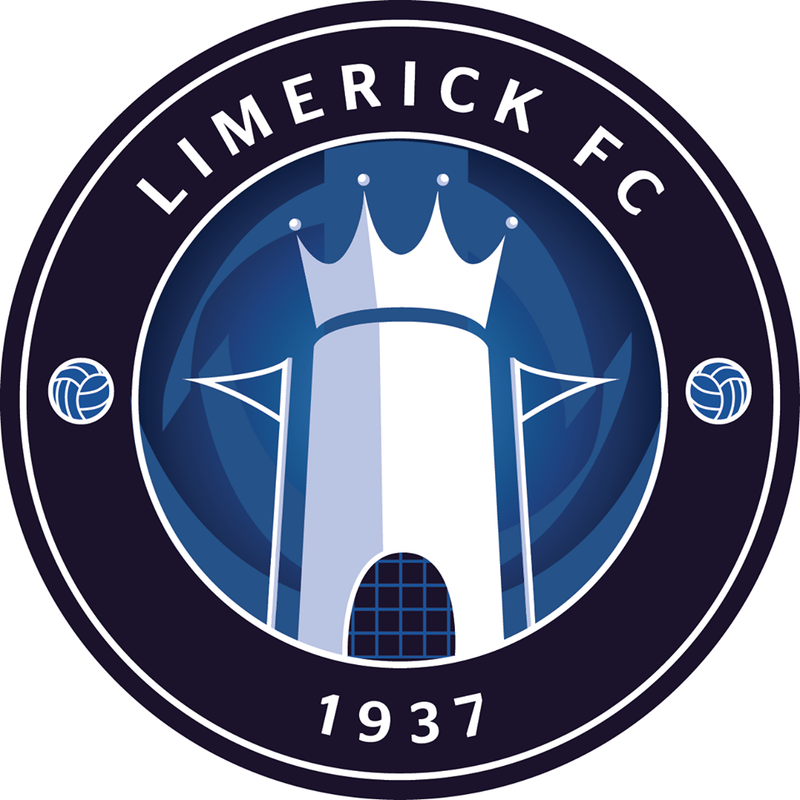 Limerick manager Tommy Barrett made one change to the team that lined out in the semi-final win over Saint Patrick’s Athletic and it was an enforced one as Alan Murphy was replaced by Kelly. And it was the former Aisling Annacotty youngster that had the first clear sight on goal on 12 minutes when he played a neat one-two with Seán McSweeney on the edge of the box but his shot was saved by Coffey. Before the midway point of the first half, pressure from the home side which started with Mahdy ended with an effort from McSweeney on the turn in the box but again the Cork No1 proved equal. However, in their next attack seconds later, Limerick had the lead when O’Connell’s through-ball was latched onto by Mahdy and he bore down on goal before finishing coolly beyond Coffey. Cork went close to an equaliser shortly after when captain Craig Donnellan floated a free-kick into the box where Gill just failed to connect properly from close range. On 38 minutes, Mann went on a driving run, cutting in from the right and getting to the ‘D’ where he sent a shot which Coffey again got behind. Having narrowly survived a scare in the only minute of added time at the end of the opening half, Limerick almost scored a spectacular second when O’Connell attempted a lob from all of 40-yards and it just cleared the crossbar. But Cork were back on level terms early in the second half when the ball was pulled back to Drinan just inside the box and he drove an unstoppable shot high past Holland. The young Leesiders then almost took the lead when Ellis got in behind but his low strike was brilliantly denied by a touch from Holland which took it inches wide of the upright. And Limerick had Holland to thank again 15 minutes from the end when he first blocked Ellis’ effort and then on the follow-up he produced an incredible save to deny Fernandes. But within seconds, Cork were handed the opportunity to take the lead when Killian Brouder fouled Ellis in the box and it was the visiting No9 that stood up and sent the ‘keeper the wrong way. As hard as they tried, Limerick could not find a way back into the game as Cork regained their title which they had lost to Saint Patrick’s Athletic last season. 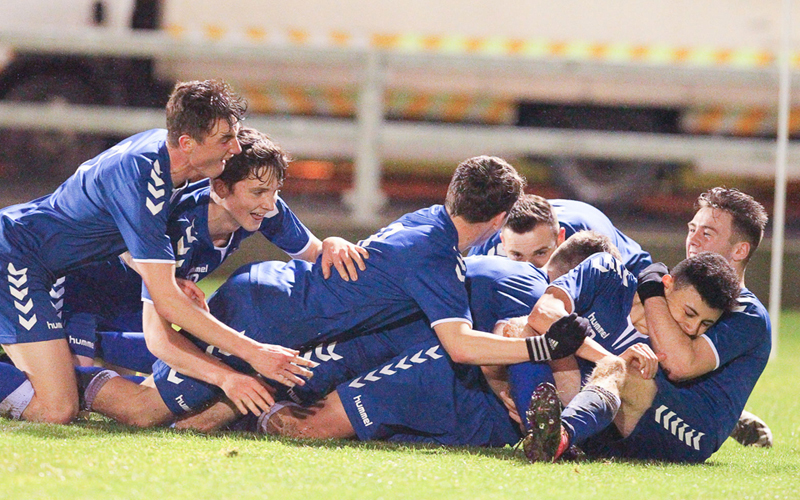 Limerick: Tommy Holland, Shane Lowth, Evan O’Connor, Killian Brouder, Liam McCartan, Oisín Kelly (Evan Cusack 68), Declan Cusack (Ross Fitzgerald 61), Clyde O’Connell, Ross Mann ©, Seán McSweeney, Yoyo Mahdy (Denis Haverty 83). Goal: Y Mahdy (22). Booked: L McCartan (13), D Cusack (14), S McSweeney (90+2). Unused Subs: Carl Williams (GK), Stephen Nolan, Jack Lynch. Cork City: David Coffey, Kevin Taylor, Conor McCarthy, Cian Coleman, Garan Manley, Craig Donnellan ©, George Gill, William Cronin (Denzil Fernandes 66), Aaron Drinan (Alec Byrne 81), Chiedozie Ogbene, Connor Ellis. Goals: A Drinan (56), C Ellis (77 pen). Booked: G Gill (20), C Ellis (34). Unused Subs: Adam Mylod (GK), Ross Welch, Daire O’Riordan, Eli Khadi Harrington, Alex O’Brien. Referee: Rob Hennessey. Attendance: 695 (Official). Photos thanks to Conor Wyse Photography.